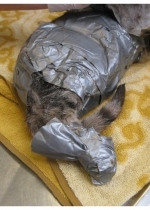 SEPTEMBER 23--What kind of a person duct tapes a cat head to toe? 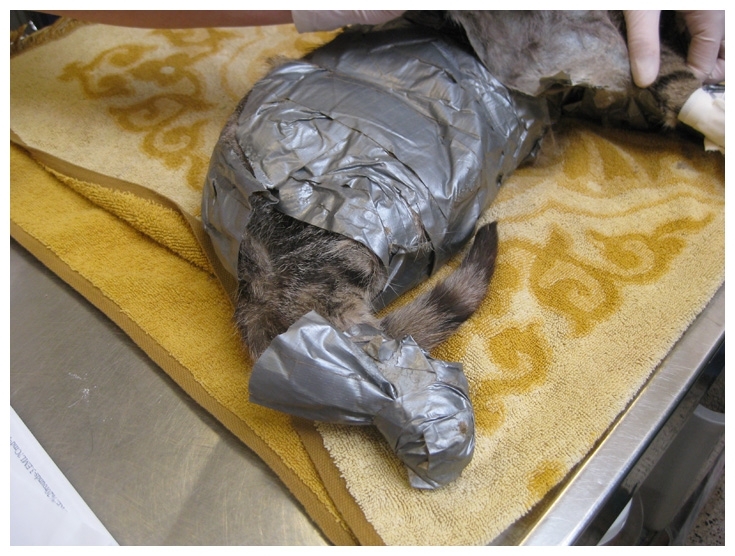 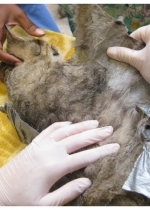 Philadelphia police are searching for the misfit who abandoned the animal after wrapping it with the gray industrial-strength tape (the female cat was discovered in a yard yesterday by Society for the Prevention of Cruelty to Animals workers). 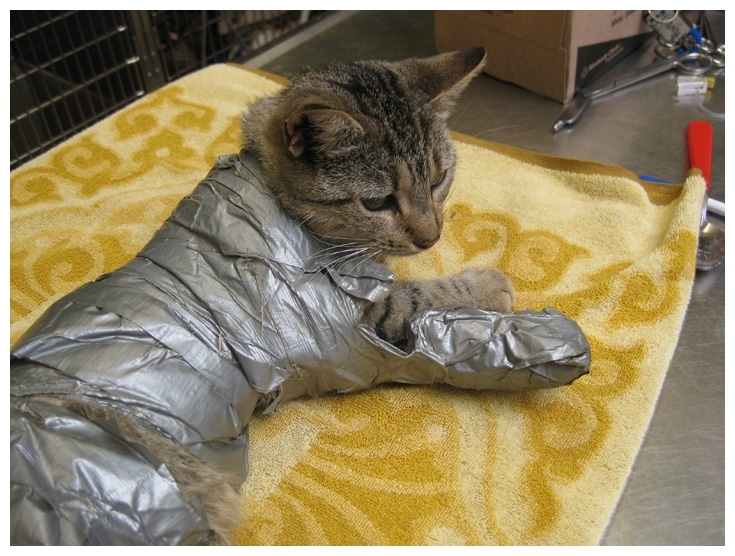 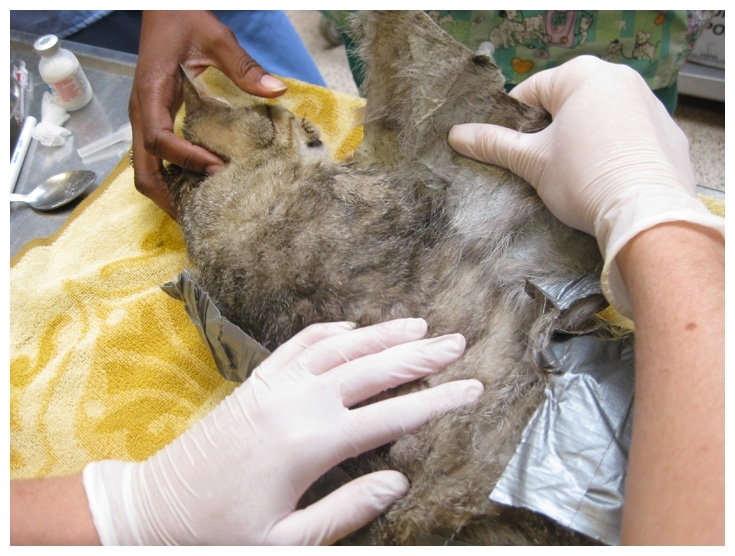 Bound by the tape, the feline--pictured here in evidence photos--was not able to walk and was apparently left to die. 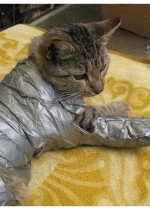 Submitted by James on Fri, 2011-02-18 15:16. 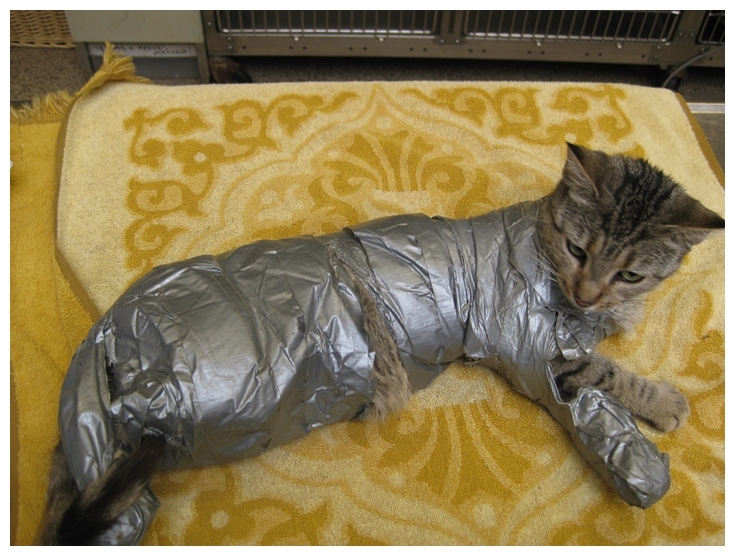 Did they ever find the fu*ker that did this? 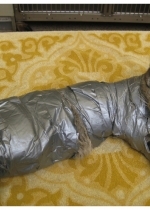 I'd like to tape his balls to a tree and let him hang there until he dies.